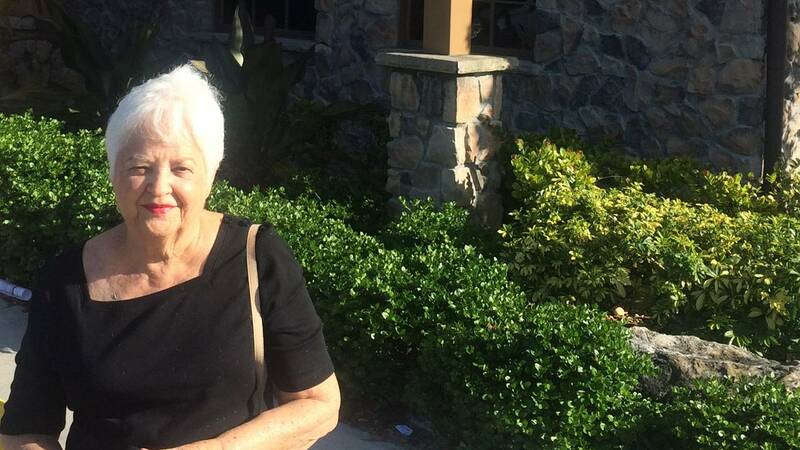 PEMBROKE PINES, Fla. - A pair of large dogs attacked an 83-year-old Pembroke Pines woman and killed her terrier Sunday morning in the Century Village community, the woman's family said. Iris Macias, and her 17-year-old terrier, Scooby, were out for a walk around 7:30 a.m. when the two dogs started running toward them, the family said. Macias picked up Scooby to protect him, but the dogs knocked her to the ground and attacked the small terrier. She was bitten on her right hand as she tried to pull the dogs away from her pet. After the attack, the dogs ran away. A neighbor shot a cellphone video of people helping Macias after the attack. A woman armed with a broom stands over Macias in case the dogs returned. Two large white dogs can be seen roaming around nearby. Paramedics treated Macias at the scene and she will have to be tested for rabies. Her son Charles said Scooby had been his mother's only companion for about 10 years, since his father died. Animal control officers found the dogs sometime later and captured them. It was unclear whether the dogs had broken free from a leash or had been wandering freely in the senior living community before the attack. Pembroke Pines police said they are investigating the attack. Iris Macias, 83, was hurt in the pit bull attack, her family said.